KHARTOUM, Jan 27 (KUNA) -- Sudanese President's assistant Jalal Duqair commended Kuwait's relentless to his country, particularly in the support of peace, stability, economic development and active philanthropic acts Duqair made the remarks during a meeting with Kuwait's Ambassador to Sudan Talal Al-Hajeri. The two discussed ways of bolstering bilateral relations and cooperation. 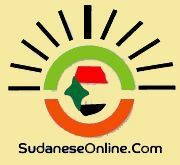 Duqair, according to an official statement, appreciated Kuwait's support to Sudan. He said Sudan was looking forward to creating solid economic and investment partnerships with Kuwait. Al-Hajeri, speaking to KUNA after the meeting, said they discussed economic, humanitarian, cultural and media cooperation.